Equipped with all the high-tech machinery, our organization is engaged in providing an extensive range of Pneumatic Conveying Equipment. Innovation is our forte and we strive to manufacture and supply a precision engineered range of Pneumatic Conveying System. The range of conveying systems offered by us comprises Dense Phase Conveying System, Dilute Phase Pressure Conveying System. Manufactured in tandem with established guidelines of the industry, all these conveying systems are highly applauded and demanded by the customers for their outstanding performance, longer service life, rigidity and least maintenance. 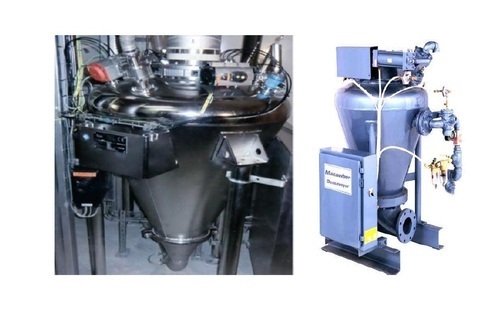 With firm commitment to quality, we are engaged in manufacturing and supplying Dense Phase Conveying System. Our professionals utilize premium quality material and modern machines to manufacture these conveying systems. In addition to this, our professionals follow the established guidelines of the industry while manufacturing these dense phase conveying systems offered by us. Also, these products are tested on different parameters to ensure their quality and attributes. Establish in the year 2016, we, “Symmetrical Engineering Inc.”, we carry out all type of Precision Machined Components & Assemblies as per customer's design & Drawings. And manufacturing of many different products that meet the strategic objectives of valuable Industries. We have expertise in machining of steel, Plastics, stainless steel, aluminum, alloy steel and brass, copper, Monel, Wood, and Titanium for the variety of end-user industries like Victaulic Couplings, Stainless Steel Valve, Flange End Valve, Butterfly Valve & many more. Our aim is to be the leader in the manufacturing of precision engineering components and assemblies for the global market.